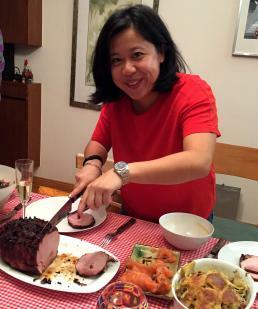 Bernice is a Senior Associate based in the Hong Kong office and leads our research team in the region. Bernice joined Leathwaite in 2014 and supports the governance (legal, risk, compliance), private practice legal and company secretary teams within the APAC region. Prior to this she worked as a human resources intern for an Investment Bank and has internship experience in a Hong Kong based contingent headhunting firm. Bernice graduated from King’s College London with a BSc in Business Management. Thinking back to when you joined Leathwaite, what first attracted you to the company? The friendly faces I met during the interview process and also how international our firm really is. I had the opportunity to onboard in the London office and met New York colleagues prior to starting work in Hong Kong. Being part of this varsity, high functioning team in Leathwaite Asia. What three words that best describe your role at Leathwaite? If you could switch jobs with someone (anyone! ), who would it be? Ellen DeGeneres, you get to make people happy and laugh – can’t say no to that! What advice would you give people starting out in their careers? Do not be afraid of failing, we always learn from our mistakes. Go the extra mile, tenacity and grit pays off and even if it’s not said, people will appreciate the efforts which go into your hard work. Binge watching Keeping up with the Kardashians. 1990’s and 2000’s R&B all the way. I played Spanish classical guitar growing up. Which one of Leathwaite’s internal values do you most relate to? In 2019 you will celebrate five years with Leathwaite and have the opportunity to go on your one month sabbatical. Do you have any plans mapped out? Haven’t sat down and given it much thought as we still got some time to go, but in my mind I would take this month to travel around South America or do an in-depth trip throughout China, possibly tag on the Trans-Siberian Railway. What have been some of your greatest memories throughout your career at Leathwaite? I think few of my greatest memories throughout my career here was joining the global offsites (US, Middle East and Europe) and the fact I have gone to three in my four years in Leathwaite. Spending time great global colleagues creates motivation to work hard every year. There is nothing better than being surrounded by a supportive global team, friends and like-minded individuals for a weekend, celebrating success. Want to get to know other members of the Leathwaite team? 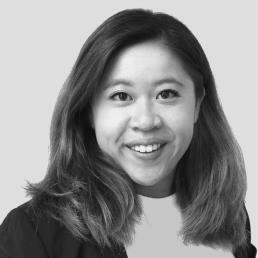 Ada joined Leathwaite in 2015 and is the Executive Assistant supporting the Hong Kong office.